Imagine your life as a straight line. Now imagine that you could break that line and leave behind all your regular habits and nagging doubts for just seven days. 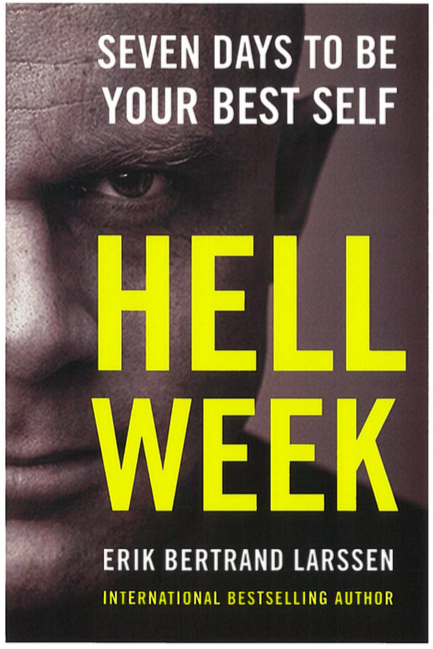 Bertrand’s Hell Week shows people how they can begin to change their life’s path in a single week, replacing their old self with their best self, by going through a specially tailored version of the elite military exercise. The U.S. edition of the international bestseller combines Bertrand’s personal teachings and philosophies with the stories of real people who have experienced the extraordinary transformative power of Hell Week. The result is a highly engaging and instructive guide aimed at anyone looking to take their life to the next level.